Are we celebrating the victory over the Greeks or the Miracle of the Oil? Are we commemorating the victory of the Hasmoneams over the Greek army? 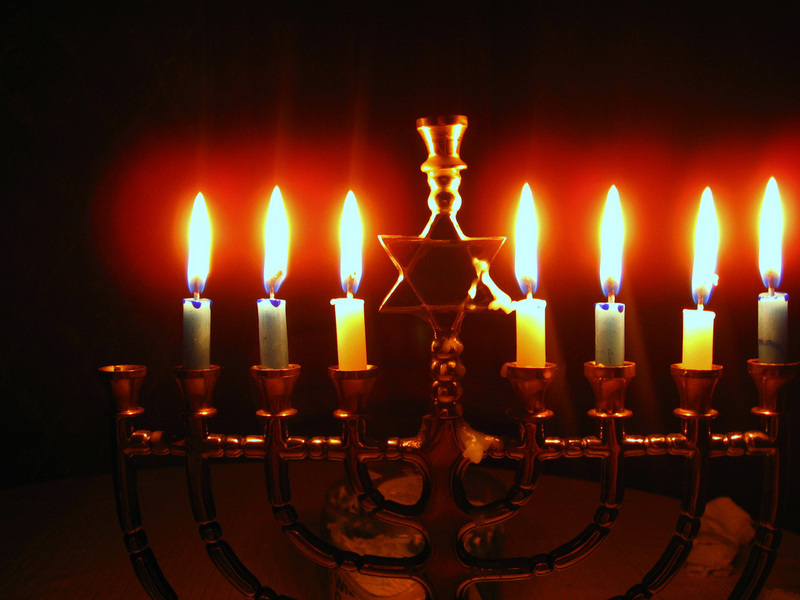 The Talmud (Shabbos 21b) asks, "What is Chanukah?" and in answering the question, the Talmud goes on to relate the 'miracle of the lights'. This is the only miracle that the Talmud mentions in its brief description of the Chanukah events. It does not mention the defeat of the Syrian-Greek army. However, the AI HaNissim liturgy, which we recite throughout Chanukah recounts the festival's origin and tells a different tale. There, the eight-day miracle of the oil is not even mentioned. There, the emphasis is on the miracles of the military triumph. AI HaNissim tells how the Syrian-Greeks conquered the Jews and sought to wrest them from the Torah and commandments and how G-d came to Israel's defense, enabling them to overcome 'the strong, the many, the impure, the wicked, and the wanton,' bringing about 'a great victory and salvation' to the nation. Maharal (Chiddushei Aggados), a popular commentary on the Talmud, notes the discrepancy between the Talmud's emphasis on the oil and the liturgy's emphasis on the war. He explains that even at the time of the miracle it was necessary for Divine intervention to show the victorious Jews that their military triumph had indeed been miraculous. As we read of the Maccabean victories over the Syrian-Greeks, we can marvel at their faith in G-d and at their courage in the face of impossible odds. A band of devout Jews defeated one of the superpowers of the day. But one who reads the history without knowing from faith, tradition, and study that G-d was in their ranks might be forgiven if he wonders. Even in modern times we have seen mighty armies of apathetic mercenaries defeated by bands of rebels, fighting for their own homes and to defend the dignity of their wives and children. If guerrillas can defeat huge armies equipped with twentieth century armaments, why couldn't an ancient Jewish force do the same against Syrian horsemen with spears? ...Or the Miracle of the oil? ​Surely the triumph was immense, but was it a miracle? Yehudah the Maccabee, who succeeded his father, Mattisyahu, as leader of the revolt, was a master tactician as well as a devout and righteous tzaddik - couldn't the victory be attributed to his tactics and the bravery of his men? The Sages of the time asked these same questions. Jewish tradition does not proclaim festivals easily; communities and individuals have the right and obligation to thank G-d and celebrate their salvation from death or danger, but only Scripture, prophecy, or some other Divine message allows us to proclaim that a day has been invested with holiness. For the Sages who exulted at the liberation and purification of the Temple but wondered how miraculous it had been, G-d performed an unmistakable miracle to prove that the entire process had occurred only through His intervention. A lone flask of pure oil was found, still bearing the unbroken seal of the Kohen Gadol. How did it happen that the Syrian-Greeks failed to contaminate it? Why did it have the Kohen Gadol's seal when it had never been the Temple practice for him to seal or even supervise the flasks of oil? Strange. Extraordinary. But still not necessarily miraculous. Then they lit the oil, and it burned and burned and burned. For eight days it burned until fresh oil could be prepared and brought. This was undeniably a miracle.